Before the journalists latched onto Arsenal’s relatively empty trophy cabinet, Gooners could look forward to a League Cup campaign where the potential future of the side were given a taster of what to expect if their dreams came true and their hard work came to fruition. It was exciting to watch these young players literally fighting to impress the boss and show him that they were made of the right stuff. So often, they produced results that suggested they were more than ready for the step up for the first team and fans who turned up to watch them normally enjoyed ninety minutes packed with incident. Then, the obsession about ending the ‘trophy drought’ began. Seasons passed and with every one, Wenger was forced to slowly fill his normally fledgling team with more and more established stars in League Cup games. That is, until the silverware returned to Arsenal. This season, Arsene Wenger has the luxury of once more giving a lucrative chance to youngsters desperate for a whiff of first team action. Gooners will again be able to enjoy a trip to a possible future – players who, if they apply themselves and show that their talent is allied with a work ethic and patience – can be a potential lynchpin to the side in a few seasons. The Emirates Cup and the Barclays Asia Cup in pre-season were another window into the not too distant future, and players like Alex Iwobi and Jeff Reine-Adelaide grasped their chances fully. Gooners were made fully aware of the potential they possess as they seamlessly slotted into a team peppered with internationals and global stars. Other players who impressed, such as Chuba Akpom, were given a different opportunity. They were sent on loan and so much hinges on how they perform whilst at their respective clubs. Constant playing time is a must at the formative stage, but for the ones who stayed at Colney, the Capital One Cup represents light at the end of the tunnel. So, who can Gooners expect to see on the pitch at Hillsborough as they take on Championship side Sheffield Wednesday? Well, at least one of the players mentioned above will be champing at the bit to get on the pitch. Alex Iwobi was originally a left winger, but his eye for goal has led to the Nigerian-born nephew of Jay-Jay Okocha playing as a striker of late. This season has seen him bag 2 goals and 2 assists in just five games for the Under-21 side. More interestingly, he has 2 goals in just three games in the highly competitive Uefa Youth League. His form is indicative enough to suggest a slot in the eleven. Whether it is on the left or up front remains to be seen. 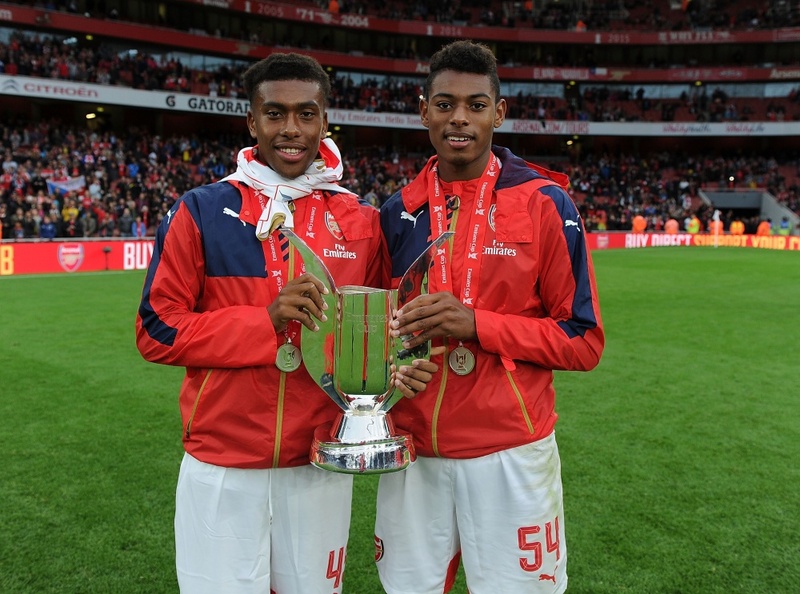 Jeff Reine-Adelaide really impressed on his bow against Wolfsburg in pre-season. His trickery on the wing was seen by Gooners and optimism levels regarding the young Frenchman are high. His exploits recently for the French Under 17 team have also caught the eye and he surely would have been a candidate for at least a role on the bench, but is still in Chile on international duty. We still have youngsters who are more than capable of stepping up, and one of them would be the intriguing Krystian Bielik. The talented Pole was brought in during the January window and was perceived by many to be the answer to the defensive midfield aperture we had at the time. As we all are aware though, Francis Coquelin has been a revelation and young Bielik has been playing for the Under21’s to gain some experience. Experience that will hopefully gain him a future place in the side. This game will be a barometer for Bielik. With our squad having more depth than in recent memory, it leaves some more proven players with a secondary role – a role they will be keen to shed. Disgruntlement can spread like wildfire in a fragile equilibrium such as a dressing room filled with competitive sportsmen so any chance to get minutes under the belt and evidence why they should be considered is exactly what they will be looking for. Players of the ilk of Mathieu Debuchy, Kieran Gibbs, Calum Chambers, Joel Campbell and Mathieu Flamini will more than likely be given roles in the starting line up, although these players have vastly differing roles within the squad. Debuchy and Gibbs still have realistic ambitions of holding down a first team slot and can consider themselves unlucky that the players who are currently playing in their preferred roles are currently among the best in the League. They will have to step it up in training and make sure opportunities such as this are taken if they are to remain alternatives to Bellerin and Monreal. Mathieu Flamini is entrenched in the back-up role. The fiery Frenchman and current bro of Mesut Ozil has shown with his two goal salvo against rivals spurs that he still has a role to play, but playing ahead of Francis Coquelin is a step too far. The same goes for Club Captain Mikel Arteta. His role on the training field looks to have become more important than his time on the pitch but the Spaniard can still contribute. His range of passing is sublime and he has an uncanny ability to dictate the pace of play. Missing out on the bench against Everton in the weekend due to a small injury may put paid to his ambition to start this game but it is unclear the severity of the situation. Young Pole Krystian Bielik is also one to be considered. 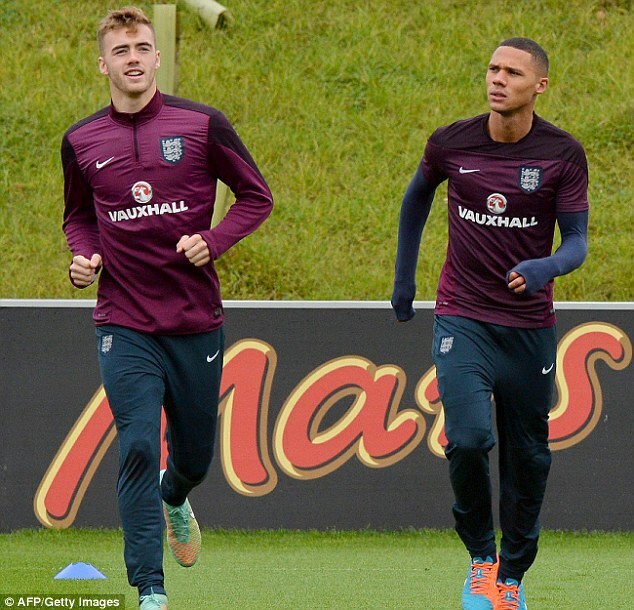 Calum Chambers is still learning his trade and minutes in any match will be greedily gobbled by the England international. Learning each week from Koscielny and Mertesacker can only help the talented kid grow as a player but a first team role right now has the potential to damage his development. This cup tie against Sheffield Wednesday though, is a great chance to show he is on the road to being an established member of our team. The line up for this match against Wednesday is hard to predict and a lot depends on whether Arsene Wenger is looking to rest his players after three games in six days. If he is, then he has a pool of players more than ready to take to the field. A mix of hungry youngsters eager to impress and more experienced professionals who will be hurt and looking to show they deserve more – is a recipe that hopefully will be too much for Sheffield Wednesday to deal with. Wednesday though, have started the season well. Unbeaten since September and knocking out Newcastle in the last round at St James Park means that the Owls cannot be underestimated, even if the Gunners will start as favourites. Wenger will want a win to continue the feel good factor at The Emirates and will make sure the foot remains on the accelerator. That would mean another cup tie and another chance for the players above. The Capital One Cup is once again an audition – and fans will be anxious to see who makes the grade.